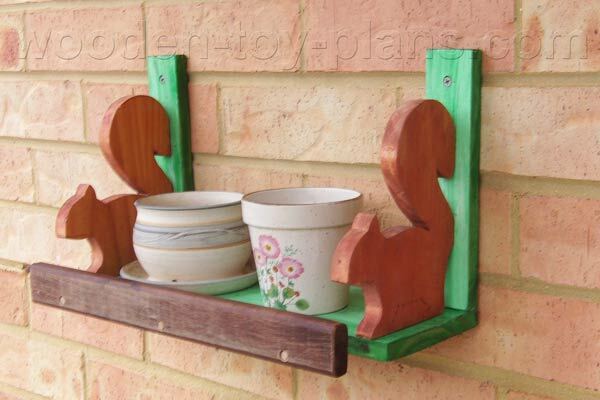 This is one of a few easy woodworking projects any beginner can make with scrap wood and just a few hand tools. I made this using bits of scrap and recycled wood and a squirrel, sorry, scroll saw in a matter of hours. It would be just as easy to use a jig saw, also known as a sabre saw. This easy craft project makes an attractive and useful gift for the house, equally at home outside as well as inside. It would sell well at craft markets. 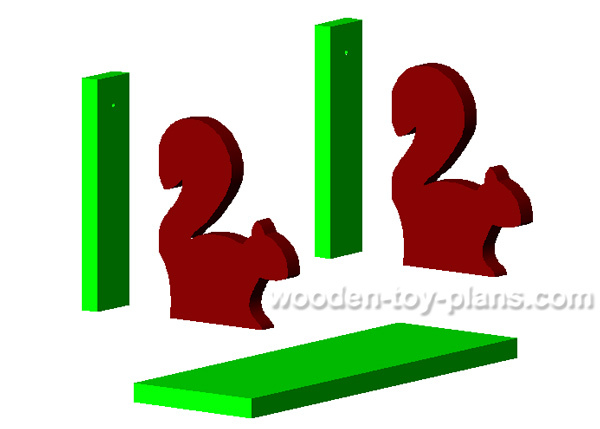 Download the full size squirrel pattern PDF or squirrel pattern image file. Print it on your home printer, or visit you local library or office supplies store, or anyone you may know with a printer. It's only a single A4 size page. If you are somewhat artistic, you could easily make a sketch on a piece of thin card and use that as a template. There is no materials list as such, because I suggest you make it from scrap or recycled wood. All piece are 19mm thick project timber. 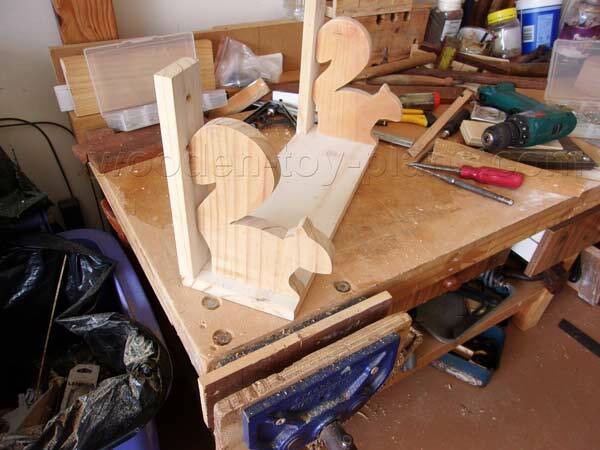 For the squirrel shapes, two pieces 160mm wide and 210mm high. For the shelf, one piece a160mm wide and no longer than about 450mm. For the vertical support battens, two pieces 50mm wide and 240mm high. 8 wood screws, 8g or 4mm in diameter, and 40mm long. 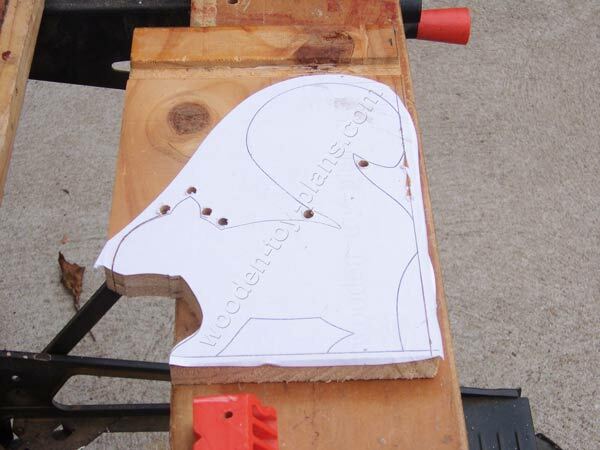 Here I have pasted the pattern onto the workpiece and started cutting it out with the scroll saw. To make it easier for myself, I have drilled a hole at each change in direction so that I can swing the workpiece around. Drill a pilot hole as shown in the photo (click to enlarge.) 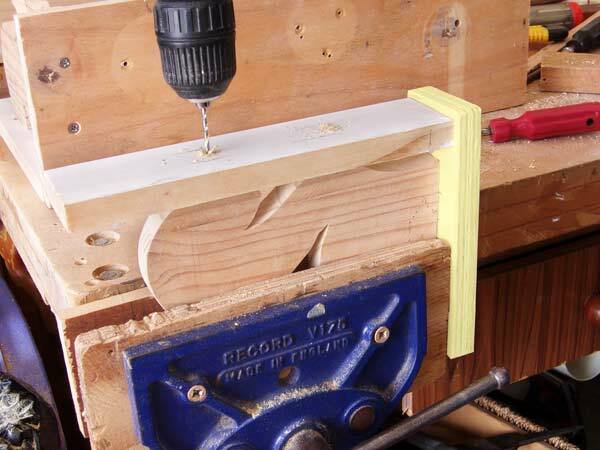 Fix a temporary jig on the base to hold the vertical in place. In the photo, the temporary jig is shown as yellow. Remove the temporary jig, and with the squirrel laying on it's back, drill two pilot holes into the underside of the shelf. Drill a hole near the top of each vertical support batten. Depending on how you are going to fix the shelf to the wall, and the type of wall, it may be best to speak to your friendly hardware supplier for advice on the best way to do that. Paint the project with colours of your choice. I hope you would be willing to share a photo or two of your project. Simply use this contact me form. Sign up for my newsletter to keep up to date with the latest projects. A pair of matching bookends.